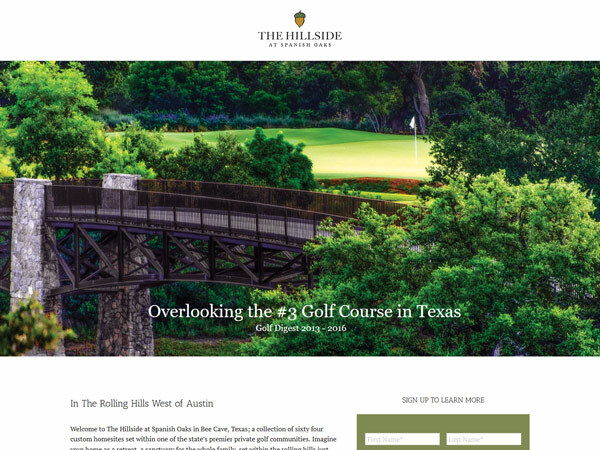 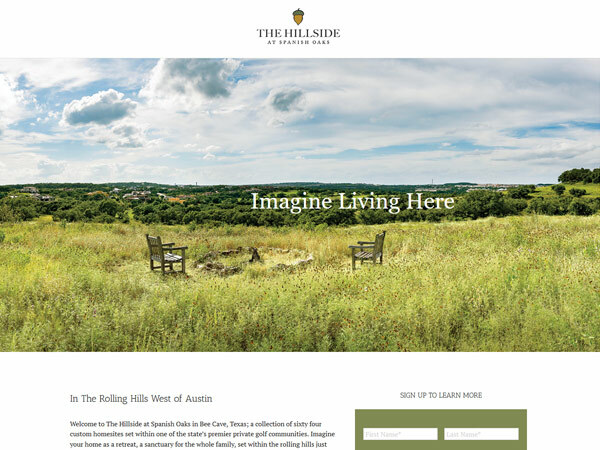 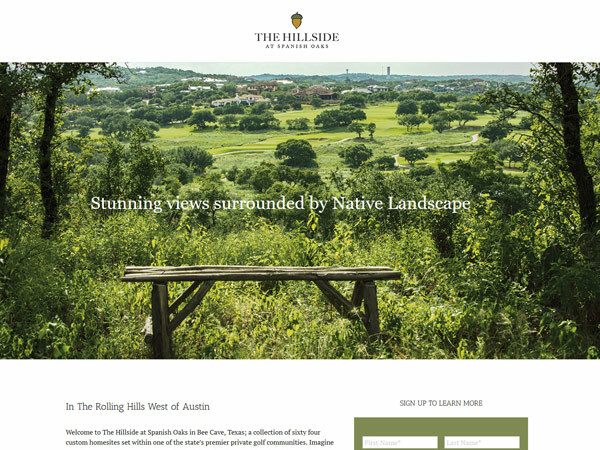 As part of the launch strategy for the premiere homesite offering in the Austin area, The Hillside at Spanish Oaks, etainia designed a micro-site to build interest for pre-sales. 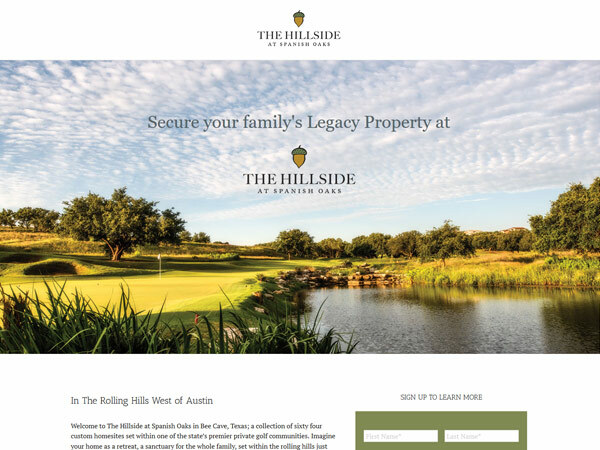 In conjunction with small brochure designed by etainia, and accompanies by a letter from the developer – Club Members and Spanish Oaks homeowners were given the first introduction to this unique collection of 64 homesites. 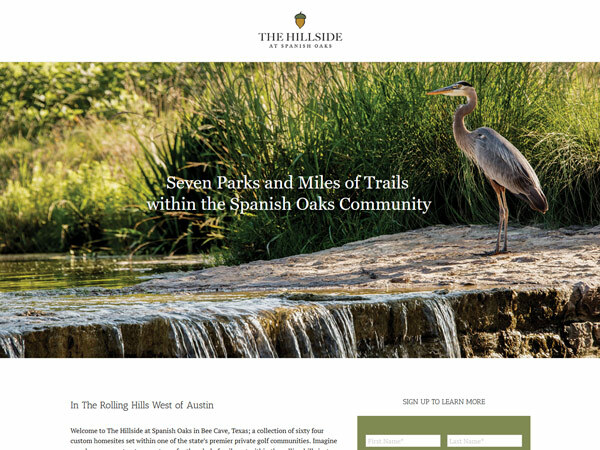 Etainia has also been engaged to redesign the main Spanish Oaks website and manage the digital marketing and communications campaigns for the community.